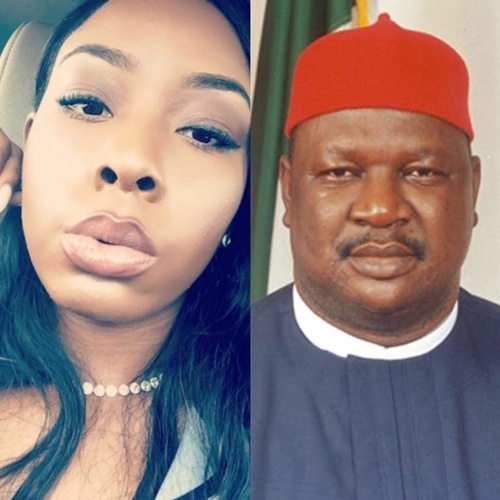 Former senate president Anyim Pius Anyim who served during President Olusegun Obasanjo regime has openly denied link with the United State-based Nigerian actress, Blessing Anyim, her US based daughter or (her alleged daughter) because of comments she made regarding the treatment of Biafra by the Federal Republic of Nigeria. The actress had lent out her voice to address the ongoing Biafra agitation posed at President Muhammadu Buhari’s administration, saying that celebrities are in best position to use their influence on the stability of peace, which she tagged unnegotiable. In a swift reaction, the former senate president said he never had any child by that name, and that all his children are based in Nigeria. It is my wish that our mass communicators should always verify their facts.